Amazon Prime Video will become the exclusive subscription streaming orbit for The Expanse next month — ahead of season four’s premiere later in the year. Seasons 1–3 of the award-winning sci-fi series about man’s colonisation of the solar system will stream globally on Prime from February 8. Also new next month will be several significant documentaries: Generation Wealth (February 1), Lorena (February 15) and The Giant Beast That is the Global Economy (February 22). Generation Wealth investigates the pathologies that have created the richest society the world has ever seen while Giant is a Kal Penn series about the unexpected quirks, interconnections, and manipulations of the global economy that impact us all. 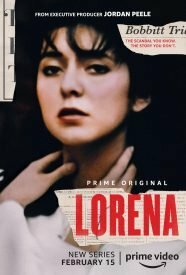 Lorena reveals the hidden truths in the notorious case of John Wayne and Lorena Bobbitt and challenges the long-held narrative that surrounded this event. As well as providing a fresh perspective, the four-part series explores how this event laid the groundwork for the modern 24-hour news cycle and increasingly sensationalistic media coverage. And making their Prime debut on February 1 will be the first three movies in the Jurassic Park franchise. I’m sure glad that Amazon picked up The Expanse after SyFy dropped it. Great programme. 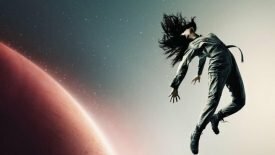 What’s happening with The Expanse? I can’t seem to find it on Amazon. No sign of The Expanse on Amazon Prime in NZ yet. Has Sky NZ still got the streaming rights perhaps? Thanks for highlighting this, Brendan and James. Have asked Amazon Prime NZ to clarify and it’s investigating. Guess I can still watch season 4 on Amazon Prime US.